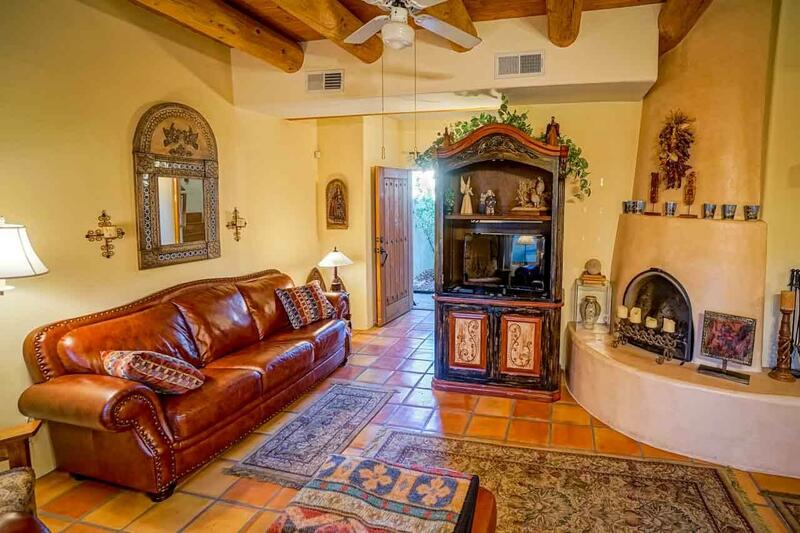 Beautifully upgraded condo unit in Villa De La Paz Condominiums with views of the Sangre De Cristo Mountains. 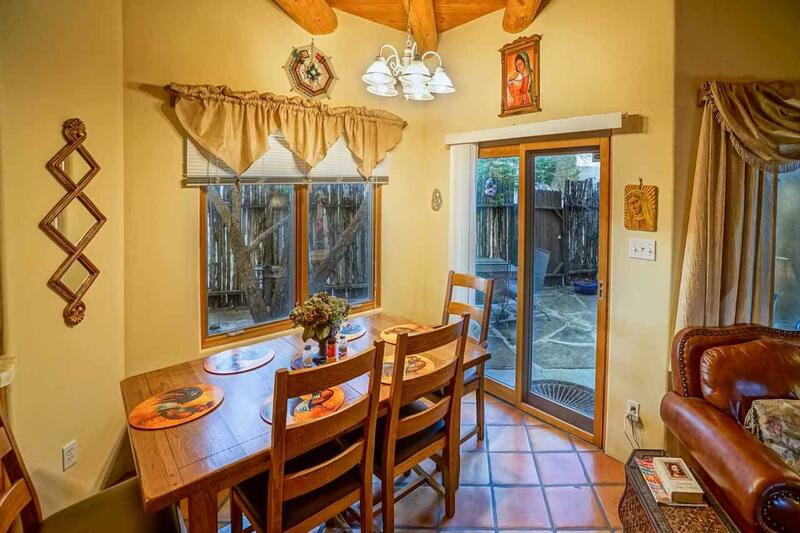 Tiled kitchen, refrigerated air conditioning, saltillo tiles, and an impressive number of fruit trees and grapevines make this one of the nicest units in the neighborhood. Plenty of room to stretch out in the master suite with a master bathroom that included tub, shower enclosure, and walk-in closet. 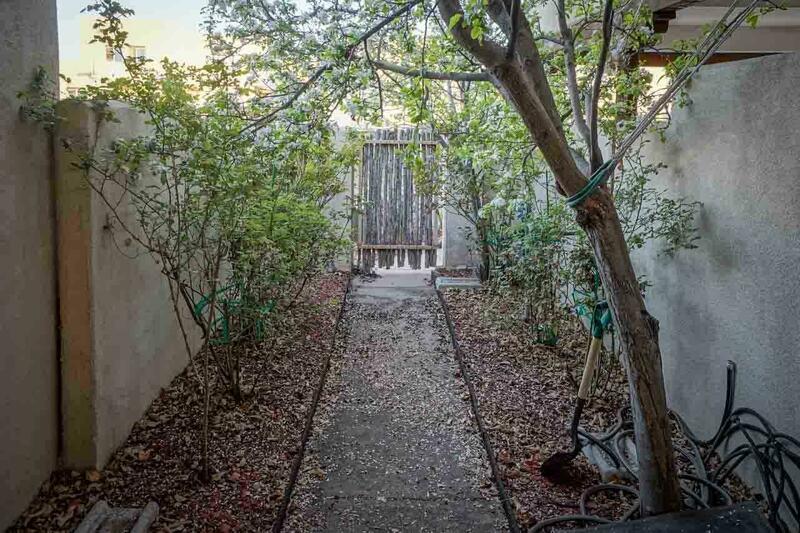 Beautiful courtyards and entry way with mature apricot, peach, apple, pear trees and landscaping. Oak flooring on the stairs makes it a pleasure to walk up and down stairs. 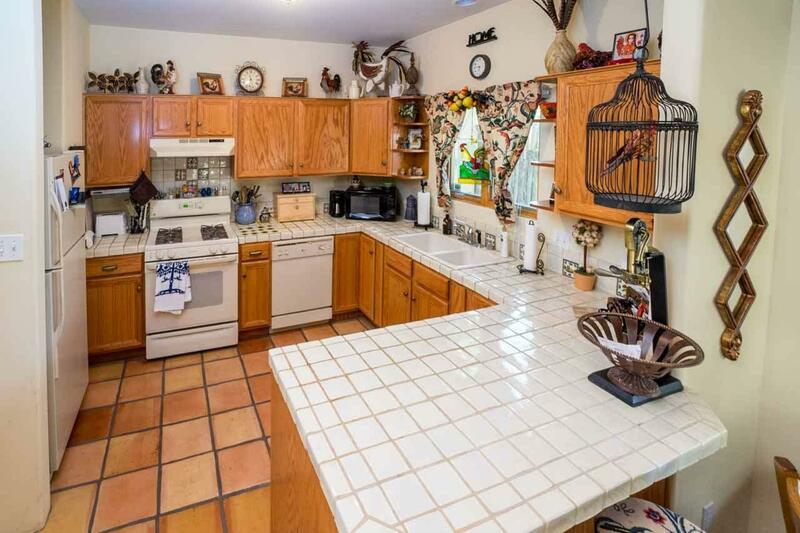 Two car carport attached to the utility room and pantry makes it easy to carry in groceries. Two decks on the second floor for enjoying the views on the north and south sides. Walking trails criss cross the neighborhood. This is a great location in the center of town and convenient to shopping, grocery stores, pharmacy, banking, dining, gyms, entertainment and education. Priced below recent comparable sales in the neighborhood - great value!